My eyes welled up when I smelled this pine straw today. This photo is from the entrance to the Whole Foods in downtown Austin, TX. Pine straw from back home. I'm sure it's organic too! Nobody fertilizes pine trees. They should say that on the sign. Charge extra. Although $9.99 is more than enough already. 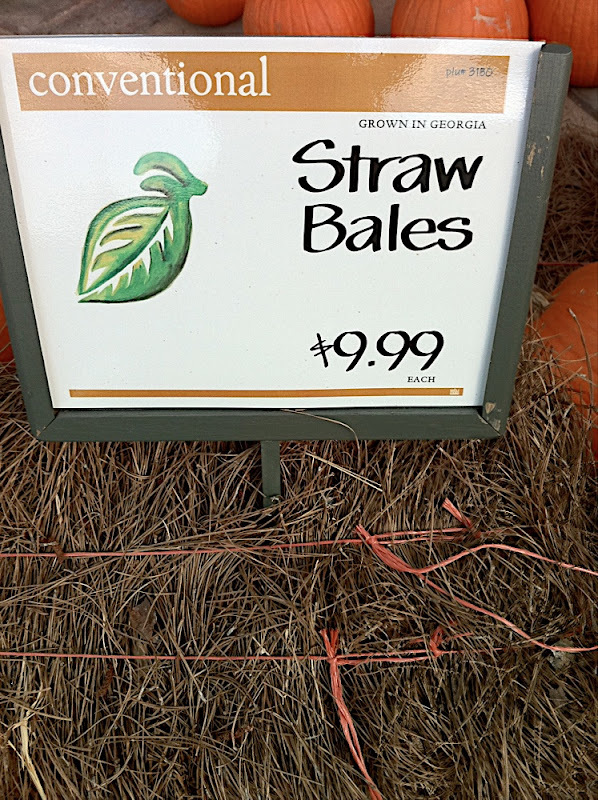 This is just the crappy slash pine straw that goes for about $4 a bale in Georgia. I guess the extra $6 is for transporting it to Texas. Or maybe it's just more prestigious to have some if it's expensive. I haven't seen anybody in Austin use pine straw for mulch, so I guess it's just for piling up on the front porch with pumpkins for a fall display. Wonder what they do with it after that?